Brian Leetch, one of the NHL's top defensemen who helped the New York Rangers win the Stanley Cup in 1994, retired Thursday after an 18-year career. 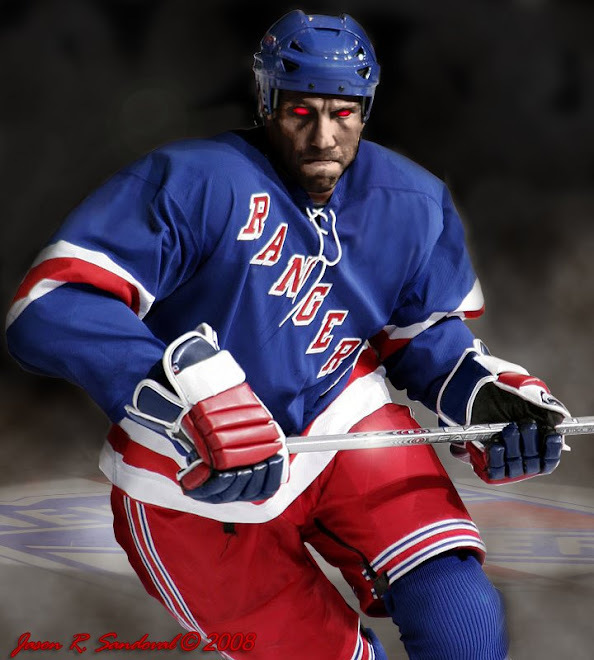 He ranks first on the Rangers' all-time scoring list for defensemen He was a monster defensemen. Leetch sat out last season as an unrestricted free agent after spending 2005-2006 with the Boston Bruins, when the 10-time NHL All-Star had five goals and 27 assists in 61 games. "I have been fortunate to be an NHL player since 1988," Leetch said in a statement. "I missed being in the NHL this past season, but believe it was the right time for me to stop playing." Leetch played one season at Boston College before he was selected by the Rangers with the No. 9 pick in the 1986 NHL draft. He went on to become the defensive cornerstone of the Rangers, who ended a 54-year championship drought by winning the '94 Stanley Cup. Leetch was the Conn Smythe Trophy winner as the most valuable player in the playoffs that season. Leetch spent more than 16 seasons with the Rangers before being traded late in the 2003-04 season to the Toronto Maple Leafs. He became an unrestricted free agent before he signed a one-year, $4 million contract with the Bruins in 2005. In addition to two Norris Trophies as the league's top defenseman, Leetch won the Calder Trophy for top rookie in 1988-89 and played on U.S. Olympic teams in 1988, 1998 and 2002. In 1,205 NHL games, Leetch scored 247 goals with 781 assists for 1,028 points, making him one of only seven NHL defensemen with at least 1,000 career points. We will miss him, but thank GOD he decided to retire and not replace our resident skating 2x4, Malik. You must be right about Leetch wearing the Leafs jersey in the Hall of Fame because he won how many Stanley Cups playing for Toronto? I love it...unyielding Leafs fans! Wasn't the last Cup win in the 1960's??? The only Cup was a cup of booze, as Toronto was the home of his broken heart!!!! Poor, poor Leetchie. In Toronto, Brian Mcabe made Leetch look amazing! It was nice that the Toronto Maple leaf franchise wanted to give a first ballet hall of famer the chance to play (briefly) for the Blue and White Nation living out his fantasy and dreams.